South Korea will build an information center in New York City, a global hub of culture and the arts, by July 2020, the government said Monday. The Korean Culture and Information Service, which is affiliated with the Ministry of Culture, Sports and Tourism, said it will hold a ground-breaking ceremony for the facility, called the New York Korea Center, on Thursday. The new seven-story building on Manhattan's 32nd Street will have a total floor space of 3,212 square meters. It will be equipped with a 176-seat concert hall, exhibition rooms, a library and lecture rooms and be completed by July 2020. The government plans to invest 77.1 billion won ($69 million) in the project. 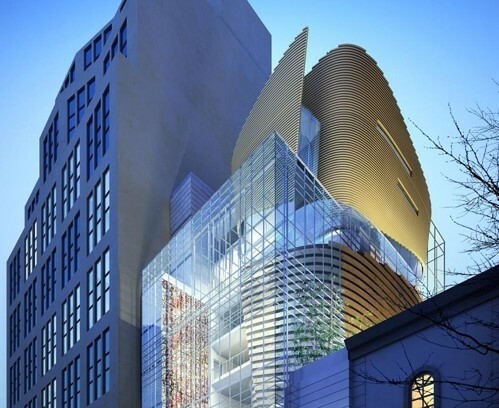 The building will house the Korea Cultural Center in New York, the New York branches of the Korea Tourism Organization and an education facility run by the Education Ministry, among other organizations. New York will be the sixth city to have a Korea Center, following Los Angeles (2006), Beijing (2007), Shanghai (2007), Tokyo (2009) and Paris (scheduled to be completed in December 2018). Since 2006, KOCIS has been establishing Korea Centers designed to provide a one-stop service for information on Korean culture and arts, tourism and education in major cities around the world. "The New York Korea Center will become a place where local people who want to get access to Korean culture can enjoy all aspects of Korean culture, including performances, exhibitions, education and tourism, in one place," said an official from the KOCIS. "We expect it to serve as a leading base for promoting Korean culture in New York, a city leading global trends in culture and arts."